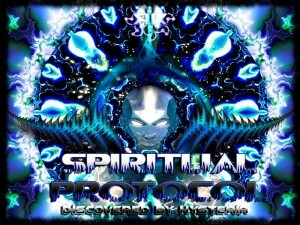 Spiritual Protocol is the fifth compilation from South African label Ritual Records. Compiled by Hysteria, this release boasts a huge variety of psychedelic flavours with contributions from talented artists from all over the world. From psychedelic day-time to twilight-style full-on and all the way up to groovy, high-energy trance, this compilation promises to take you on a well-constructed, intricate, and goosebump-evoking journey from start to finish. Mastered by Dash Hawkins with artwork by Dreamedia. MP3 Download | FLAC Download | WAV Download · Download count: 13,435. Wowwww! Im listening the track 13th and I couldn’t miss the chance of thank you for this great compilation! I’m enjoying each track, one by one… good job! Thank you so much and peace from Brazil. THIS A GREAT COMPILATION NO CHESSE AND AT POINT OF WHAT PSYCHEDELIC IS ABOUT,GOOD JOB KEEP IT COMING HYSTERIA ONE OF MY FAVORITS FOR SURE!!! Higherwattska is def the best track on this comp. The others….a bit too much cheese. Very nice projects ! I’ll enjoy ! Th is facken A. For keeping up the spirit bro. Full boom! Amazing amazing Journey!!! Thank you!!! This is very good. I like the progression from twilight to full-on to darkpsy and back (or is it the other way around :P)? I grew up with Hip Hop since i was a small kid , that’s the first kinda music i apreciate too ! Respect who ever did this ! My favourite –> Zombies ! Thanks for the killer support brothers :) More free releases soon! Yatzee is the best, all the other Tracks are toooooooooooooooooooooooooooooooooooo slow!!! !